Police were called to reports of a metre-wide ‘sinkhole’ in East Sussex earlier today. 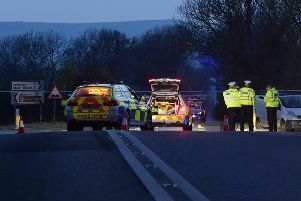 Shortly after 11am, Sussex Police were called to the B2203, which connects Heathfield and Horam, after reports that a metre-wide sinkhole had appeared in the road. Highways England were also sent to the scene, and the two agencies established the hole was wide but not deep, with chunks of tarmac littering the road. The incident caused long tailbacks of traffic, and a police spokesman believed a one-way traffic system was set up to alleviate congestion while the issue was sorted out. Police left the scene at 12.30pm, and the incident was left in the hands of Highways England.